Sentiment analysis has become a phenomenon with the proliferation of social media and the popularity of opinion-rich resources such as online reviews and blogs. Even though significant advances have been achieved in this field, there are still some major challenges to be addressed – i.e. sentiment analysis in multiple languages or thematic domains. Only a few studies have focused on minor or morphologically rich languages. Moreover, it is a question of whether the results of sentiment analysis could be further improved by incorporating the surrounding context (local or chronological) of the analyzed document. This paper presents a language- and domain-independent sentiment analysis model based on character n-grams which improves the classifiers performance by utilizing surrounding context. Four experiments on various datasets were conducted in order to validate the model. The datasets included a reference corpus containing movie reviews in English, movie reviews in the Czech language, the bestselling Amazon book of 2012 Fifty Shades of Grey novel reviews dataset from three Amazon language mutations (English, German, and French), another reference corpus containing Amazon reviews in multiple languages (German, French, and Japanese), and a multi-domain dataset (movies, books, and product categories ranging from electronics and home appliances to sports gear and supplies for hobbies and pets). The experiments confirmed the approach of incorporating the surrounding context in order to be effective for datasets from various languages and domains, suggesting a strong performance of a character n-gram based model for multi-domain and language datasets as well. A simple all-in-one classifier, which uses a mixture of labeled data from multiple languages (or domains) to train a sentiment classification model, may rival more sophisticated domain/language adaptation techniques. Such an approach reflects the needs of companies – with the interconnectedness of today’s world, most companies operate across multiple markets and would find it difficult to obtain a specific sentiment analysis solution for each market they serve. 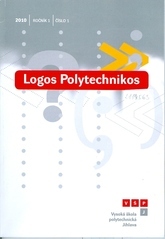 Logos Polytechnikos [online]. 2018, Vol. 3, Iss. 3, p. 36–48. ISSN 1804-3682.
bílá. Vřelost bývá vyjadřována zemitou hnědou, ale také růžovou, či překvapivě šedivou. In: The 8th Global Innovation and Knowledge Academy. Valencia, 25.06.2018 – 27.06.2018. Valencia : Global Innovation and Knowledge Academy (GIKA), 2018. 12 p. ISBN 978-84-09-00253-5. 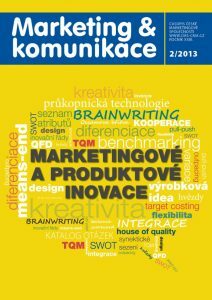 The study analyses mass media communication by mortgage lenders in the Czech market and builds on Kotler’s competitive strategies concept and aims to answer the question of whether there is a relationship between the mortgage lenders’ market position and their mass media communication profile. Furthermore, it analyses the mass media communication of mortgage lenders according to their financial performance. 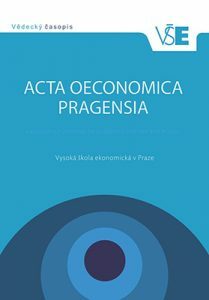 The analysis utilizes complete monitoring data from the mass media market in the Czech Republic. As a result of this study, the different advertising patterns of the market leaders and challengers on a highly commoditised market are shown. Market leaders do not utilise defensive strategies to protect their market shares but employ more offensive strategies to increase the size of the market. Market challengers have no resources to implement a massive and offensive communication strategy to challenge the market leaders. 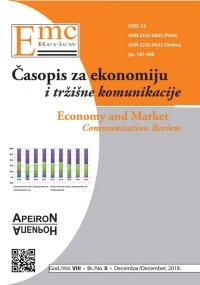 Such a conclusion contributes to the debate on communication strategies for distinct types of companies according to their position on the market and their market share. Economy and Market Communication Review. 2018. Vol. 8, Iss. 2, p. 188–200. ISSN 2232- 8823. The purpose of this research is to analyze the scheduling factors and their influence on TV advertising effectiveness. We deployed a quantitative approach based on a complete data set of advertisements aired on Czech TV in 2016 and 2017 for constructing a regression model. 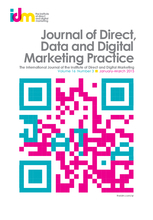 In contrast to several previous studies, our findings indicate that most analyzed variables have only a negligible influence (length of the spot, length of the break, number of spots, position in the break, category, a day of the week, week, year, and interaction of week and year) on TV advertising exposure, while only the type of programme, daypart and TV channel show a relevant impact on advertising exposure. 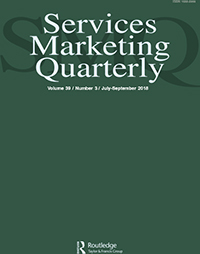 Services Marketing Quarterly. 2018, Vol. 39, Iss. 3, p. 157–174. ISSN 1533-2969. DOI: 10.1080/15332969.2018.1471954. The article aims to determine the extent of gender-related differences in user satisfaction with websites with a focus on the asymmetric and nonlinear effects of customer satisfaction. An experiment was conducted with 15 men and 15 women who undertook a typical task (scenario) on 44 websites. Overall, 1,320 evaluations of website quality attributes were obtained and analyzed. The results reveal that men and women differ in their website quality assessment. Marketing professionals should consider their target audience’s gender when designing a quality website, or even devise ways of approaching both gender groups through distinct means. The aim of this study is to analyze the differences in color schemes in TV commercials across different product categories. The study answers the question of whether advertisers in different industries use specific color schemes to promote their company or products in TV commercials and if they follow the general recommendations for using colors in marketing communications. The research sample consists of 200 video adverts proportionally representing the commercials aired in six major product categories in the Czech Republic in 2016. The results indicate there is no statistically significant difference in the usage of colors between the product categories. Nevertheless, the advertisers in the Czech Republic generally follow the color scheme recommendations suggested by the theory. Logos Polytechnikos [online]. 2017, Vol. 8, Iss. 3, p. 27–43. ISSN 1804-3682. Článek analyzuje vliv proliferace médií na vývoj reklamního trhu v masmédiích v ČR v letech 2010–2016. Pro naplnění cílů je využito dat z kompletního monitoringu českého reklamního prostoru a deskriptivní analýza pracuje s ukazateli: celkový počet mediálních kanálů v rámci mediatypu, celkový počet a celkový objem reklamních sdělení v rámci mediatypu, celkový počet a celkový objem reklamních sdělení v rámci mediatypu, suma investic do reklamního prostoru v rámci mediatypu, průměrné investice na jednom kanálu, průměrná cena za jedno reklamní sdělení a průměrná cena za sekundu reklamního prostoru (pro TV a rozhlas). Výsledky ukazují, že jednotlivá masmédia reagují na proliferaci odlišně. U televize krátkodobě došlo k propadu a rozmělnění poptávky mezi narůstající počet nových kanálů. V delším období ale počet reklam rostl více než dvojnásobně v porovnání s celkovým dostupným reklamním prostorem, za současného snižování ceny reklamního prostoru. U rádia se prostor nabízený českými stanicemi příliš nezměnil, přesto objem reklam vzrostl o čtvrtinu. Cena reklamního prostoru kolísala, suma investic do reklamy však vykazovala stabilní rostoucí trend. V oblasti tisku i přes masivní nárůst počtu titulů došlo k propadu poptávky po reklamním prostoru. Vydavatelé se propad snažili kompenzovat zejména nárůstem ceny reklamního prostoru. Proliferace masmediálního trhu byla pozitivním jevem zejména pro inzerenty a projevila se zejména vyšší přístupností reklamního trhu. Rovněž vedla k narovnání trhu a ke zmenšení rozdílů mezi jednotlivými poskytovateli reklamního prostoru. Sentiment analysis is a natural language processing task where the goal is to classify the sentiment polarity of the expressed opinions, although the aim to achieve the highest accuracy in sentiment classification for one particular language, does not truly reflect the needs of business. Sentiment analysis is often used by multinational companies operating on multiple markets. Such companies are interested in consumer opinions about their products and services in different countries (thus in different languages). However, most of the research in multi-language sentiment classification simply utilizes automated translation from minor languages to English (and then conducting sentiment analysis for English). This paper aims to contribute to the multi-language sentiment classification problem and proposes a language independent approach which could provide a good level of classification accuracy in multiple languages without using automated translations or language-dependent components (i.e. lexicons). The results indicate that the proposed approach could provide a high level of sentiment classification accuracy, even for multiple languages and without the language dependent components. Industry analysis of TV commercials: Do companies reflect audience profiles? The purpose of the article is to explore one of the Cental and East European media markets to determine whether different audience profiles reflect the various industry structures of the commercials aired. The article is based on data from a complete television (TV) commercials data set (n=2,303,435) from 2013. The results indicate that there are only minor differences between TV channels while audience targeting is only implemented by a very few thematic channels. The article contributes to media marketing management research by showing that the differences in the distribution of commercials among different TV channels are smaller than expected. Expressing attitudes and opinions towards various entities (i.e. products, companies, people and events) has become pervasive with the recent proliferation of social media. Monitoring of what customers think is a key task for marketing research and opinion surveys, while measuring customers’ preferences or media monitoring have become a fundamental part of corporate activities. Most experiments on automated sentiment analysis focus on major languages (English, but also Chinese); minor or morphologically rich languages are addressed rather sparsely. Moreover, to improve the performance of machine-learning based classifiers, the models are often complemented with language-dependent components (i.e. sentiment lexicons). Such combined approaches provide a high level of accuracy but are limited to a single language or a single thematic domain. This paper aims to contribute to this field and introduces an experiment utilizing a language– and domain– independent model for sentiment analysis. The model has been previously tested on multiple corpora, providing a trade-off between generality and the classification performance of the model. In this paper, we suggest a further extension of the model utilizing the surrounding context of the classified documents. 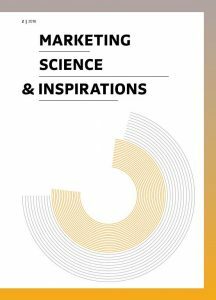 This chapter presents an extended study focused on application of automated attention analysis in online marketing. The research question we are trying to address is whether automated tools can be used to depict differences between brand related websites of beer companies. Automated and quick comparison of websites from different markets and cultures might provide stimulating and instructive feedback and thus become an invaluable tool for online marketers. In spite of being exploratory in nature, the study and indicates that the automated tools instead of human-centered attention analysis could be an inexpensive yet relevant tool for brand site development. Sentiment analysis and opinion mining seems to be a hot topic these days. Together with the spontaneous and massive expansion of new media (esp. social networks) this issue is being perceived as one of the major trends for the nearest future. Google Trends (a tool showing how often a particular search-term has been entered across various regions of the world and in various languages) reports a fivefold increase of search queries since 2007. However opinion mining and sentiment analysis are not only a recent phenomenon related to the development of information technology. A long time before the World Wide Web was born, our attitudes or (consumer’s) decisions had been influenced by our relatives or friends around us. As we specialize and narrow our focus, the more frequently we need additional information about certain fields. Thus we have been looking for specialists or professionals with (life) experience who are able to share their opinion or advice. A car enthusiast whom we know could recommend a mechanic or a garage, a respectable person we appreciate could help us with the decision for whom to vote in the local election, or a colleague might provide a reference about a job applicant we would like to hire for our company. Before the mass media has evolved, people were able to receive an input from just limited surrounding. This neighborhood was more likely limited to the geographical area where the individual lived and to the community they belonged to. As the TV and radio became widespread, the range of people who could influence public meaning greatly expanded. The distance is no longer a barrier and audiences can be approached in many ways. Persons speaking to the audience through the broadcast became strong opinion makers influencing and changing public attitudes and beliefs. Besides the crème de la crème of world politics (i.e. Barack Obama, Mario Monti, Mitt Romney or Hillary Clinton) and CEOs of the largest companies (i.e. Tim Cook from Apple, Sheryl Sandberg from Facebook or Virginia Rometty from IBM) the Time Magazine’s List of The World’s 100 Most Influential People from 2012 also includes sport players (Jeremy Lin, Novak Djokovic, or Lionel Messi) artists (Rihanna, Adele) or even famous Chefs (Jose Andres). Many of those ”celebrities” do influence masses in the areas far beyond their expertise. The online environment made it further possible to find out what others are thinking or experiencing, no matter if those are our personal contacts or well know professionals. In 2008, Pew Internet & American Life Project Report discovered that more than 80 percent of US internet users have previously done dome online research about a product. Twenty percent do so commonly. More than 75 % of online-hooked customers confirm that reviews have a significant influence on their purchase and they are willing to pay more for a product with better customer reviews. In addition, one third of users has posted an online review or rating regarding a product or service and thus became an influencer themselves. Therefore continuous and systematic new media monitoring became an integral part of company processes. The aim of such activities is to recognize whether and (if so) in which context the media speaks about the company, hence companies can adjust their strategies and react in advance according to public opinions or attitudes. George Washington, the first President of the US, at the end of 18th century, monitored newspapers to monitor attitudes of his fellow citizens and what they were saying about him. Many of his successors also analyzed their media picture and 19th century witnessed an explosion of new companies scanning the media and cutting out news, providing the reports to government institutions, companies or individuals. First press cutting (called “clipping” in the US) services retrieved information from media manually. They employed human readers to scan newspapers and look for keywords of (multiple) clients. Even if such services served only to a limited geographic area (mostly just one country) and monitored the media in just one single language, the human readers typically missed one third of articles containing keywords (as a result of not reading thoroughly but only fast scanning the articles). In the 1950s companies started to monitor TV broadcasts. Again, contracted personnel watched all programs and monitored broadcasted contents for keywords. With the introduction of Betamax and VHS technology, the monitoring process enabled recording and post-processing. 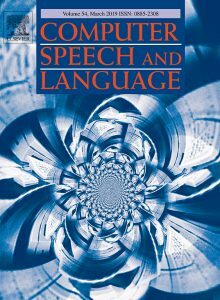 Moreover, first automated speech-to-text systems have been developed, although they were still only 70–80 % complete and accurate. The introduction of World Wide Web in 1990s brought revolutionary changes on the media market. Almost all media are now digitalized and available online. New monitoring companies offer a computer-based processing where country borders or national languages do not matter anymore. CyberAlert – the world press clipping service – monitors 55 000+ online news sources in 250+ national languages 24 hours a day. New websites spontaneously emerge, change and disappear every day. A common user is not only a web content consumer, but also contributes as an author. We write product reviews, post comments in discussion forums or on social networks or even have our personal online blogs. Such fragmented and unofficial information is a significant source of word-of-mouth or “buzz” about companies and products. Many of today’s most influential blogs (i.e. The Huffington Post, Techcrunch, Engadget, Mashable) began just few years ago as one-man-show, quickly growing into internationally recognized and respected media. Media monitoring has rapidly changed. Recognizing sentiment and finding out about people’s attitudes still remains a challenge. However, utilizing sentiment analysis, companies can gain advantage from the insight in (social) media, recognize company or product reputation or develop a new marketing strategy addressing the negative sentiment and positively impacting on consumer’s perception. Moreover, top influencers and opinion makers can be identified. Sentiment analysis may be also useful in other domains for predicting the result of (presidential) election or pointing a virtual finger at the next American Idol. Old-fashioned press cutting services just monitored the media and did not supply any interpretation of the outputs provided. Even these days when the data are collected automatically, companies mostly interpret them manually. Such a random approach is then susceptible to subjective error and is dependent on the experience and skills of the persons performing the analysis. Nevertheless, computer-based processing and modeling allows for automated sentiment analysis. Automated systems are repeatedly able to determine the sentiment (whether positive or negative) with 70–80 % accuracy. If automated systems were absolutely correct about sentiment classification, humans would still disagree with the results about 20 % of the time which is in no contrast to the level of agreement between raters they reached in human-rated analyses. Automated sentiment analysis became an integral part of market research activities in companies such as Kia Motors, Best Buy, Deutsche Bank, Southwest Airlines or Paramount Pictures. Although the analysis cannot provide a hundred percent certainty, it can definitely offer important insights. It could be used to gain understanding of customer experience, recognize competitive dangers or discover emerging market opportunities. Opinions floating around the cyberspace begin to represent vox populi to the degree, in which most market segments participate in online discussions. Automated sentiment analysis might be a good way how to deal with cluttered online environment and how to get insight into the mind of a new millennial consumer. The advertising campaign is set according its goals and objectives. To ensure the highest efficiency of the campaign, the companies use different approaches to scheduling and timing the advertisements. There are different scheduling patterns identified to adjust the campaign timing according to the communication goals. The volume of advertising during the campaign may be continuous with steady (i.e. reminder advertising for matured products or building brand awareness), rising (i.e. to concentrate attention around a particular event) or falling (i.e. fade after initial launch of a new product) trend during the campaign. There are more scheduling pattern identified (i.e. flighting or pulsing) used for short and heavy advertising periods. The campaign length also reflects the nature of the communicated message and the goals of the campaign. For example longer campaigns (weeks or years) are often directed towards building the longer term effects of favorable brand image and strong brand loyalty. Sentiment analysis and opinion mining is being perceived as one of the major trends of the nearest future. 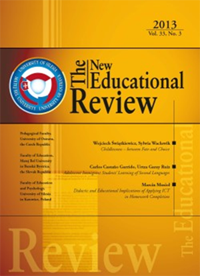 This issue follows up on the spontaneous and massive expansion of new media (esp. social networks). The amount of the usergenerated content published on social networks significantly increases every day and becomes an important source of information for potential customers. More than 75 % of the users confirm that customer’s reviews have a significant influence on their purchase and they are willing to pay more for a product with better customer reviews. Furthermore one third of the users has posted an online review or rating regarding a product or service and thus became an influencer himself. Using sentiment analysis, company can take advantage to get insight from (social) media, recognize company or product reputation or develop marketing strategy responding to the negative sentiment and positively impact consumer’s perception. Moreover, top influencers and opinion makers can be identified for further cooperation. Even though social media monitoring is commonly carried out automatically (by tracking selected channel or by crawling the web and searching for given keywords) the analysis and interpretation of retrieved data is still often performed manually. Such unsystematic approach is then prone to subjective error and is dependent on the experience and skills of the person performing the analysis. Thus there is a strong call for automated methods (based on computer-based processing and modeling) which would be able to classify expressed sentiment automatically. Good results can be obtained with supervised learning models (i.e. support vector machine models). However, for a good performance a good training set is needed. Such approaches also often work with lexical databases (i.e. WordNet) or sentiment vocabularies (identifying polarity keywords with the sentiment clearly distinguished i.e. “horrible”, “bad”, “worst”). These models do not work very well when the training set comes from different domain than the testing data and also not many studies have addressed sentiment analysis issue for morphologically rich languages, i.e. Arabic, Hebrew, Turkish or Czech. This experiment tries to develop and evaluate a sentiment analysis model for Czech language (which is morphologically rich) which is not dependent on any prior information (lexical databases or sentiment vocabularies which are not available for Czech language) and works well on different domains. As training set data from Czech-Slovak Film Database were used. The support vector machine based classification model has been then tested on different domain (data from an e-shop selling a wide range of products from electronics to clothing or drugstore goods). With a good results (accuracy around 80 %), the model has been also tested on other languages, including Amazon customer reviews in English (Amazon.com, Amazon.co.uk), German (Amazon.de), Italian (Amazon.it) and French (Amazon.fr). Even on other languages, the model still provided a good performance ranging from 70 to 80 %. This may not sound impressive but there are studies reporting that human raters typically agree about 80 % of the time. Thus if an automated systems were absolutely correct about sentiment classification, humans would still disagree with the results about 20 % of the time (since they disagree at this level about any answer). 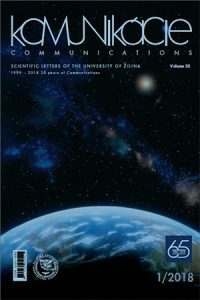 In: Communications in Computer and Information Science. Las Vegas, 22.07.2013 – 27.07.2013. Berlin : Springer, 2013, p. 46–50. ISBN 978-3-642-39472-0. This study contributes and expands on this debate. Eye-tracking studies on cultural differences confirmed that users from different cultures have different expectations and preferences. This study answers the question whether cultural differences in web design could be revealed also by automated attention analysis. Websites of the largest beer producers from different countries with different cultural background were analyzed through automated attention analysis tool to determine whether there is a difference in the number of potential areas of interest and their size. 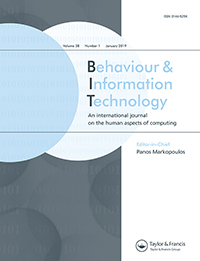 The study confirms that automated tools can depict cultural differences and thus provide fast and inexpensive results for initial assessment of website interfaces. The impact of culture on consumer behaviour has been an important research area for decades. The rise of e-commerce prompted the importance of culturally bound differences between websites. Web designers are compelled to adjust website development to the cultural characteristics of the target audience and to reflect local perspectives. The actual target users are often invited to provide valuable feedback on e-commerce applications. However, user tests are extremely costly and time consuming. Tools for automated web design assessment have only recently been introduced and have provoked debate regarding their ability to simulate human interaction. In this article, 40 leading beer-brand-related websites from four different groups (countries) are analysed. The aim of this study is to discover if automated tools predicting user eye activity are able to distinguish between websites from different cultures. The findings indicate that automated tools provide quick and inexpensive results for initial assessment of the website interface, clearly differentiating between websites from different cultural backgrounds, resonating with the current literature. Automatizovaná analýza sentimentu: jak vytěžit více z online medií? Social media is an environment which supports and encourages users to express attitudes and opinions. However such fragmented and disorganized source is difficult to monitor, analyze and interpret. Automated sentiment analysis might be the next step of the marketing research providing a valuable insight in the consumers mind. Higher education is a dynamic global industry with highly competitive and developed market. Universities communicate their international programs to attract prospective students interested in studying abroad. This study addresses a question, whether there is a difference between communicated characteristics of international programs among universities from various cultures. Websites of seventy universities coming from different cultural clusters are analysed through data-mining methods. The results suggests that marketing communications in international higher education do not stand on cultural grounds as there are only minor differences between international program communications across the world. The only difference in the group of prime international higher education providers was found between the Anglo-Saxon universities and the rest of the world. Tourism development has an irreplaceable role in regional policy of almost all countries. This is due to its undeniable benefits for the local population with regards to the economic, social and environmental sphere. Tourist destinations compete for visitors at tourism market and subsequently get into a relatively sharp competitive struggle. The main goal of regional governments and destination management institutions is to succeed in this struggle by increasing the competitiveness of their destination. The quality of strategic planning and final strategies is a key factor of competitiveness. Even though the tourism sector is not the typical field where the benchmarking methods are widely used, such approaches could be successfully applied. 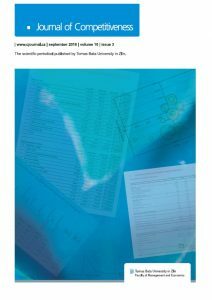 The paper focuses on key phases of the benchmarking process which lies in the search for suitable referencing partners. The partners are consequently selected to meet general requirements to ensure the quality if strategies. Following from this, some specific characteristics are developed according to the SMART approach. 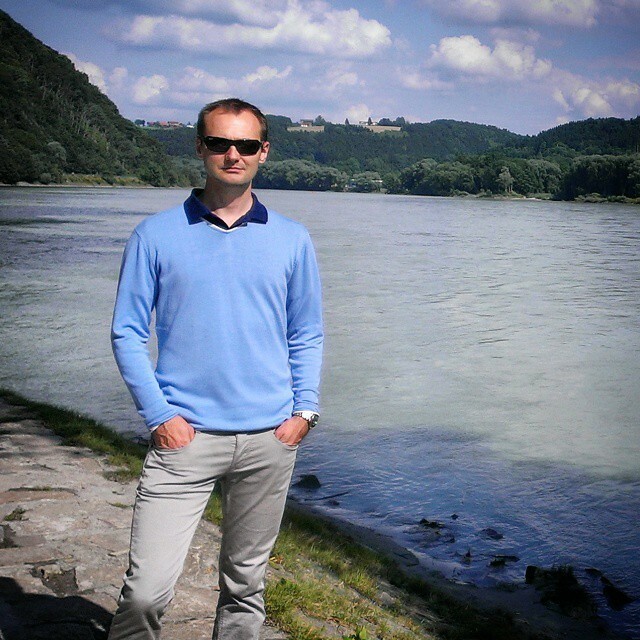 The paper tests this procedure with an expert evaluation of eight selected regional tourism strategies of regions in the Czech Republic, Slovakia and Great Britain. In this way it validates the selected criteria in the frame of the international environment. Hence, it makes it possible to find strengths and weaknesses of selected strategies and at the same time facilitates the discovery of suitable benchmarking partners.